How do we make sense of a row of typographic squiggles on a page? “The process of reading lies at the heart of our most intensely human activity, the making of meaning, and therefore deserves study as a crucial element in all civilizations...,” writes Pforzheimer University Professor Robert Darnton, director of the Harvard University Library, introducing a new digital gathering of material from Harvard’s libraries that should help in such study. Reading: Harvard Views of Readers, Readership, and Reading History, at http://ocp.hul.harvard.edu/reading, is an exploration of reading as an acquired skill, as a social activity, and as an engaging private act. Here are 250,000 pages from 1,200 books and manuscripts, ranging from poet William Wordsworth’s private library catalog to old pedagogical works explaining how reading should be taught. The collection includes a large group of primers from the Graduate School of Education’s Gutman Library. 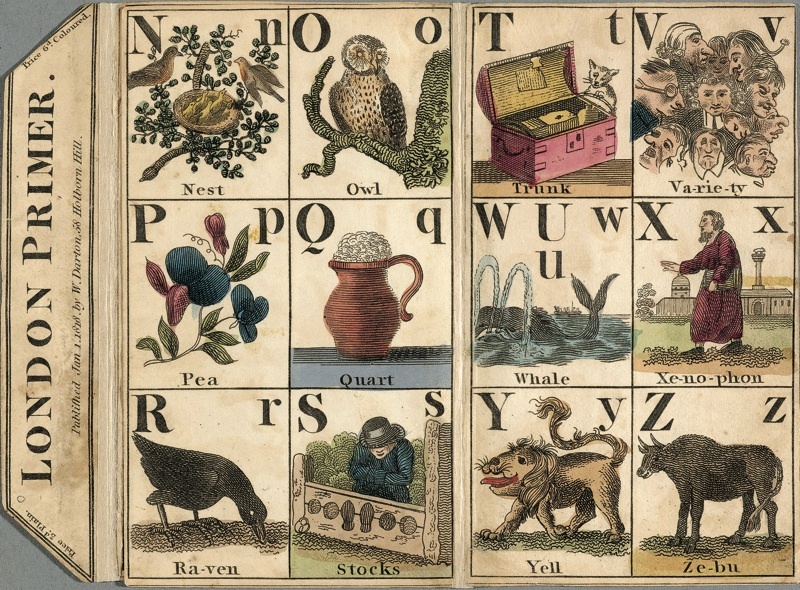 The London Primer (1818), featured here, is simply an illustrated alphabet. 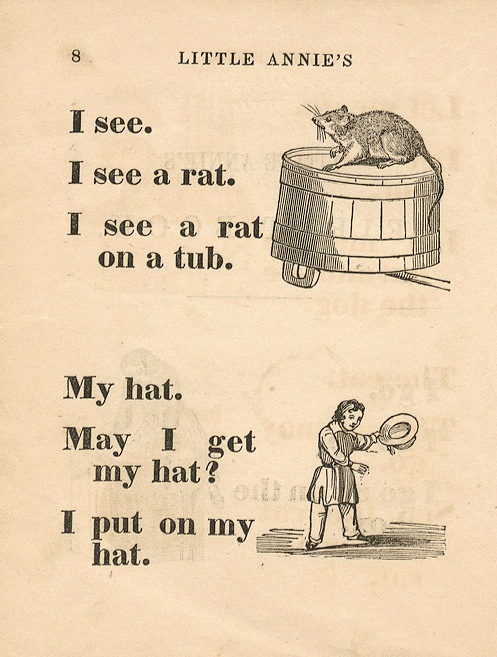 Below it, with engravings typical of the period and genre, is a page from Little Annie’s First Book, Chiefly in Words of Three Letters, by Her Mother (1850). 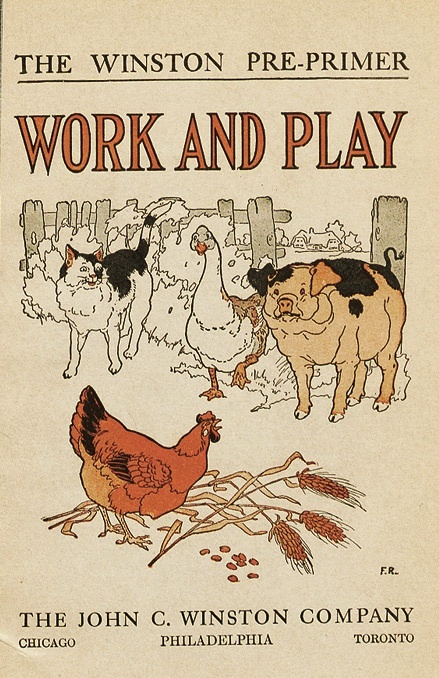 The Winston Pre-primer Work and Play (1923), for slower learners, by Ethel H. Maltby, features the Little Red Hen and a goose that hisses. 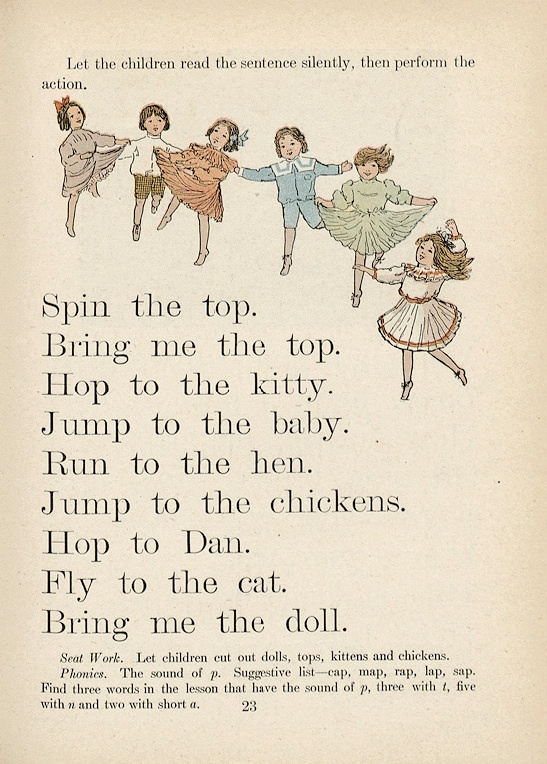 The dancing children above are from The Primer (1908), by Laura Peckham Pardee and Carrie J. Smith. 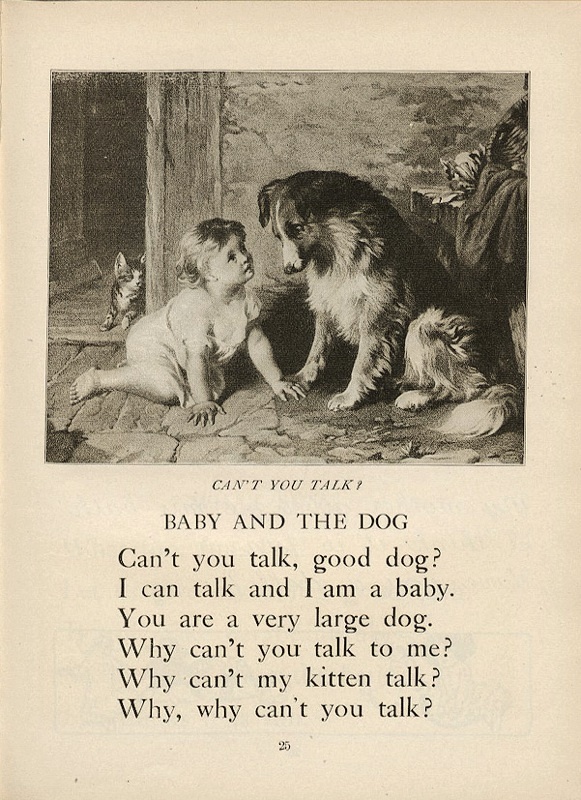 “Reading material,” the authors advised, “must be conversational, dramatic, full of action and life….” The baby querying the speechless dog is from First Days in Reading (c. 1904), by Della Van Amburgh. That book is held by only four libraries in the United States, but is now open to the world online.